You already have an account setup, and can request another dumpster by Clicking Here to use a much quicker and shorter form. Fantastic! Welcome to Happy Little Dumpsters. You may proceed with your order! Total price includes drop off and retrieval, the included weight of disposal, and 3 days of rental. Daily rental is $10 a day starting the 4th day. Example: Roofing project, place dumpster on driveway in front of garage. Total price includes drop off and retrieval, the included weight of disposal, and 3 FREE days of rental. Daily rental is $10 a day starting the 4th day. Our site uses AES-256 Encryption and TLS 1.3 so your credit card and personal information stays safe at all times. 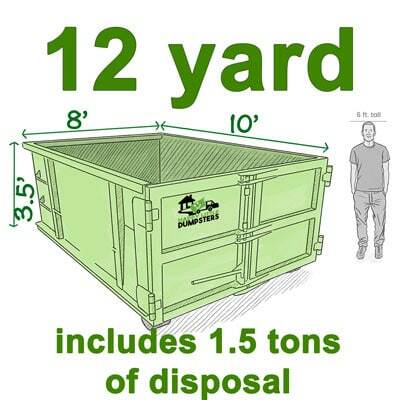 *actual inside dimension of 20 yd container is 18 cubic yards, about 486 cubic feet. Overage: $60 each ton over included weight, maximum of 6,000 lbs. 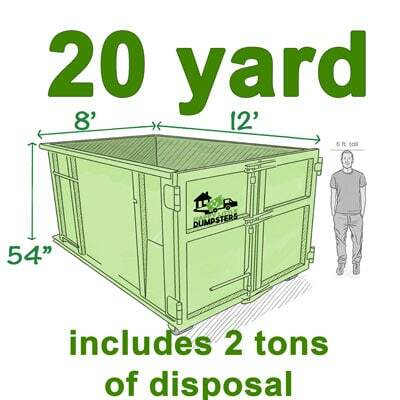 Dumpster rental prices include all taxes and landfill fees up to the included weight, unless otherwise arranged. The price quoted includes 3 days FREE. 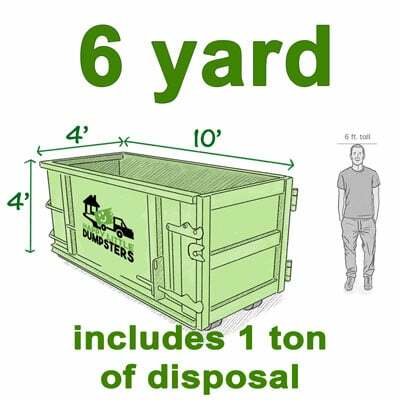 You keep the dumpster as long as needed, but an additional $10 daily rental fee starting the 4th day is applied upon retrieval of the dumpster.